Earn $4.25 in Rewards credit (425 points) What's This? 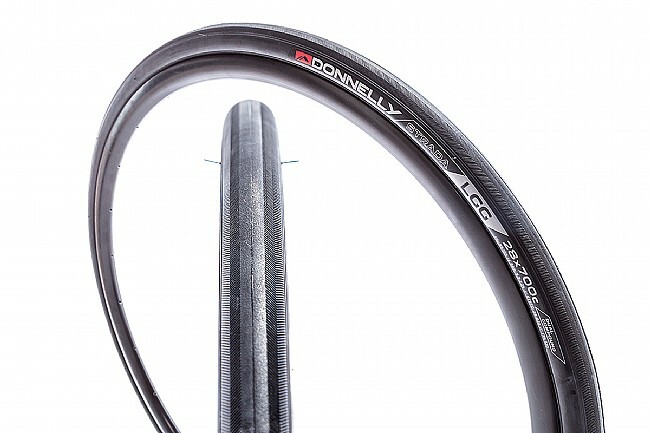 The Donnelly Tires Strada LGG is everything a classic road tire should be. And, it should be since it's named after the airport code for Liege, Belgium. This is the heart of the Ardennes and home of Liège–Bastogne–Liège cycle race, the oldest of the Spring Classics. The Strada LGG features the traditional chevron pattern for excellent grip in wet or dry conditions. Inspired by the legends of the sport, the LGG provides a supple ride, durable yet lightweight construction, and puncture-protection belt under the tread. 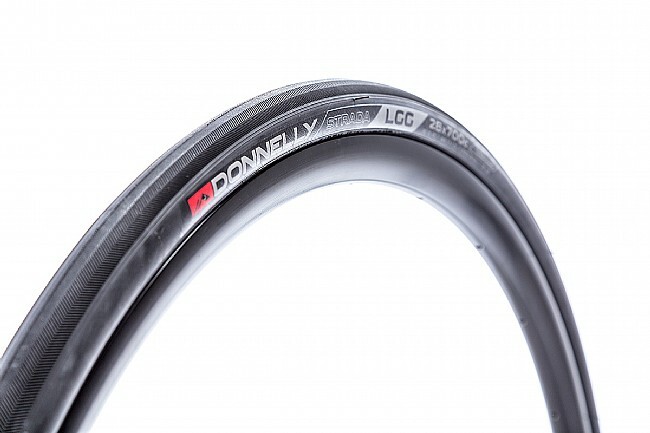 The Donnelly Tires Strada LGG 120tpi 700c Road Tire is available in 4 widths: 23, 25, 28, 30, and 32mm. Slightly textured center-tread with traditional chevron side-tread pattern provides excellent grip in wet or dry conditions. Open tread and lightweight construction. 120 TPI is dual compound tread 70/60a. Tire requires an inner tube.